TravelDesign International was started in 1993. Since then, we have established relationships with many loyal customers who value our high level of service, our access to the most exclusive amenities, and our wealth of industry and travel experience. We are a full-service travel agency: we do it all! We can make any trip you imagine a reality, from family vacations and romantic getaways to active adventures and corporate travel. Just some examples of travel we have booked includes: honeymoons in Thailand, corporate incentive trips to across Central America and the Caribbean, family cruises in the Mediterranean, and biking trips across Vietnam. Let us know what you envision, and we will use all of our resources to book your dream vacation. As a member of the Signature Travel Network, we can arrange special amenities and concessions at Signature hotels worldwide. When available, these amenities can include breakfast, early check-in/late check-out, resort credit, or an upgrade at check-in. We have valuable relationships with cruise lines, tour operators, and hotels all over the world. Remember: If you don’t have a travel agent, you’re on your own! We will ensure that your trip runs as smoothly as possible, and we are always a phone call or email away. We will take care of the details; enjoy your time away. 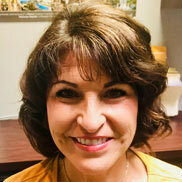 Randi is the owner of TravelDesign International. She has been in the travel business for thirty years and counting, and she is proud of the wealth of knowledge and experience amongst her agents. She loves traveling in style. 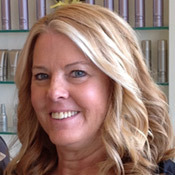 Sherry has been with TravelDesign International since 1996. She has traveled all over Europe, the South Pacific, Africa, the Caribbean, Mexico, and Hawaii. 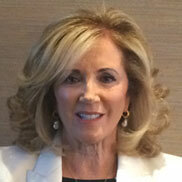 Her specialties include corporate incentive trips, destination weddings, cruises, and travel across Europe. She enjoys attending jazz shows, and she’s never seen a movie she doesn’t like. The children in her life are her greatest joy. Jake Luis is a young and upcoming Travel Consultant working with TravelDesign International. I am a college graduate from La Sierra University with a BA in Vocal Performance and while I save up for a master’s degree in music, I am following in my families footsteps in the travel industry. I started in April with TravelDesign and I handle all the corporate accounts.. I am an avid volleyball enthusiast with interests in soccer and other sports. I love theater and have performed in multiple musicals and operas. I am looking forward to learning and working on more leisure travel and can’t wait to help anyone who walks through our doors! My love affair with travel started when my Mom would take my sister and I on trips to Hawaii and Mexico as a young girl. I loved experiencing new places, people, cultures and food. My Mom decided to open a Travel Agency in 1977 so it was a great opportunity for me to begin my career in the Travel Industry and become a Travel Consultant. I became very experienced in vacation, corporate and group travel. I have traveled through out the USA, Canada, Mexico, South America, Asia, Europe and led a group to Israel. I get great joy helping others plan their travel and designing trips that will create precious memories for a lifetime.